Use the Spray Paints from Stix2 to upgrade your baubles. White Spray Paint gives a wonderful snow effect to make your decoration a bit more festive. Spray onto your existing Baubles or thick plastic shapes from your local craft store. Thanks to Michelle Johnson for the inspiration. Contact 0191 2697810 or sales@stix2.co.uk for further information. 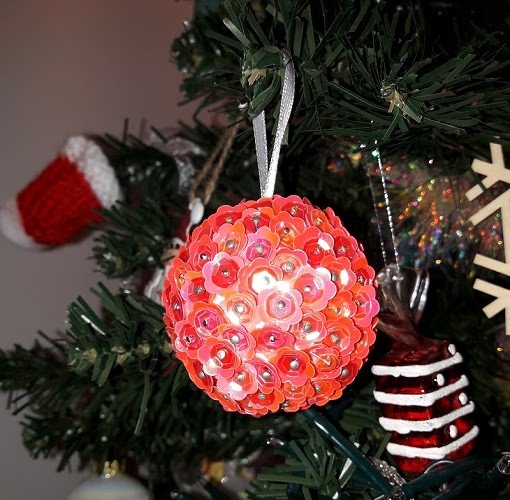 Thanks to Michelle you can now make this wonderful Pin Bauble at home. Paint the polystyrene bauble and allow to dry. Stick a 3" strip of 6mm wide red or brown extra strong tape along the top. Secure the ribbon onto the tape also making a loop in the middle. Feed a small sequin then a larger one onto the pin then dip into PVA and stick into the polystyrene ball covering the ribbon first. This will also ensure that the ribbon is secure. Put them in as close as possible until the whole bauble is finished. 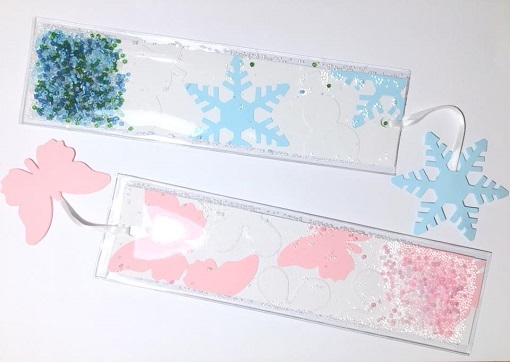 Christmas is a costly time of year but these amazing bookmarks made by Clare Brown would make an amazing gift for any book lover and all made from Stix2 Products. 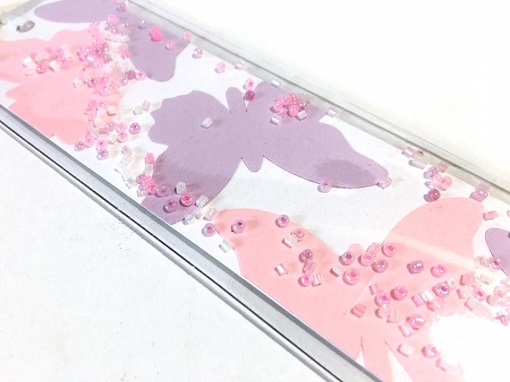 Adding Beads create a lovely shaker effect to the Bookmark and sealing the PVC Sleeve with the Craft Iron makes sure they stay there.